Donate to the North Carolina Tennis Foundation and provide EVERYONE a chance to play tennis! Give others a chance to play the sport you love! The North Carolina Tennis Foundation was organized in 1961 for the purpose of promoting tennis and later was responsible for forming its sister organization, the North Carolina Tennis Association. The Foundation provides financial support to many worthwhile tennis programs across the state. These programs include the National Junior Tennis & Learning (NJTL) Network, the NC State High School Championships, Adaptive Tennis, and numerous grants. Annual Fund- Supports worthy projects including; National Junior Tennis and Learning (NJTL) programming, NC High School Tennis, Junior Development and maintaining the NC Tennis Hall of Fame. Preyer Family Endowment- Supports Junior Development Scholarships for tournament expenses for lower and middle class families; New Programs, Outreach, Inclusion and Adaptive Programming; Camp Scholarships for junior players. Saunder-Langford Endowment- The Saunders-Langford Endowment. 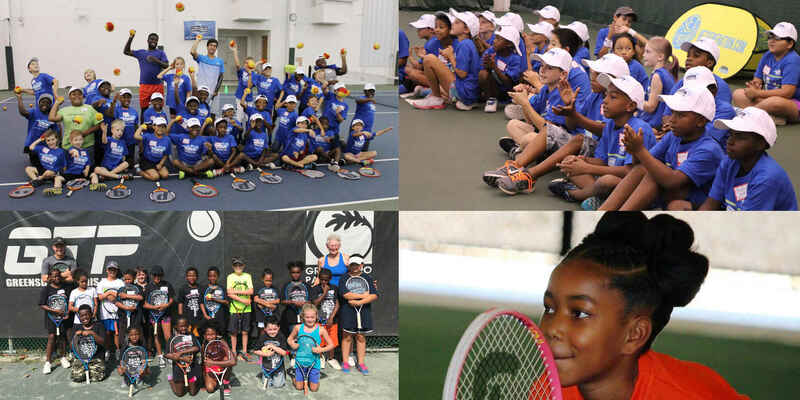 The Saunders-Langford Endowment provides juniors the opportunity to experience tournament tennis and reap the benefits of competing and developing lifelong relationships. This endowment provides need based grants to players from small communities to help them participate in tournaments. The North Carolina Tennis Foundation is a 501 (c)(3) organization and your gifts are tax deductible as provided by law. It's easy to support an organization that does so many things to change and enrich lives both on and beyond the tennis court! Thank you NC Tennis Staff for your wonderful dedication in 2018! Here's to 2019! Thanks to NCTF for all you do for our youth! I am a lover of the game and wish every child had a chance to play tennis. Tennis is the greatest sport on earth that teaches so many lessons that help contribute to a successful and fulfilling life. Tennis can change lives, it certainly changed mine!